We are back in Virginia after hanging out with Dad during Mom's finals. 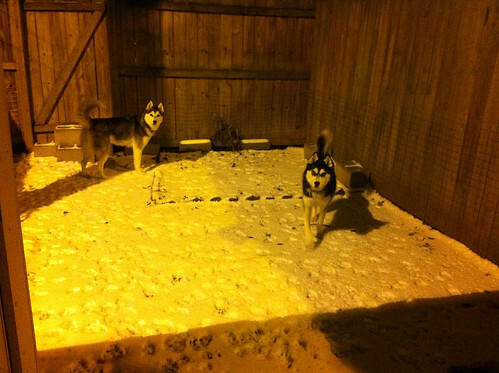 The first thing we did when we got back was check out our snowy yard! I guess I should say that the very first thing I did was go wiggle crazy at Mom. I think she might have actually been afraid because I tackled her to the ground with kisses. After that, then I went outside to see the snow. 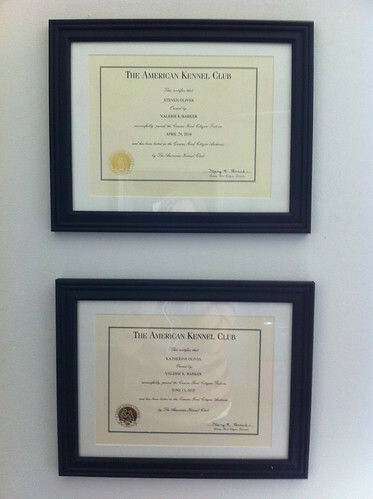 Mom framed our Canine Good Citizen certificates and hung them on the wall. Don't you think they look pretty snazzy? Well, I think it's time for a walk, so I'm going to sign off. We'll try to do a better job of posting more often over Mom's winter break! Dec 20 Whew! I survived.